Ah, chess. The game of kings… and Aspies. Now, before I begin, I expect a few readers will come up with the following reasons for their autistic child to not learn chess. Oh, he’ll just throw the board across the room if he loses. Oh, she won’t have the patience for it. Oh, he’s not got the brains to become really good at it. Oh, she’ll find it boring. Chess is not an impulsive game. That’s probably why I’ve taught dozens of autistic children and never seen this happen. Patience is grown. Chess grows it. Read the points below, and you’ll see he won’t have to be good to learn the really important lessons. If she does, then fair enough- it’s not for everyone. But let her experience it before making the decision for her. You know that cliché people like to say about games they like? Something along the lines of “football isn’t just a game”? Well, I can say this for a fact. Chess really isn’t just a game. Chess is a thought process. Chess is the discipline of taking responsibility for both the good and bad choices that you make. Chess is the life skill of thinking your actions through, until you are confident that you are definitely making the right decisions. Chess is a confidence booster to those who are not naturally good at other things. Also, chess is an opportunity to outsmart someone triple your age, without even having to talk to them. So, this article promised you ten reasons. Let’s go. I did wonder for a moment whether to even put “autistic” in that heading. As with the Growing Up Autistic article, this may be written for youngsters on the spectrum, but plenty of the advice applies to more than one subset of kids. I always tell youngsters that chess has two unwritten rules. They may not be literal rules, but you’d have to be pretty daft not to follow them. Rule number one: always have a reason behind every move you make. You’d be amazed how well these rules apply to real life. And to kids with autism, these lessons may be extra useful. I remember one particular 11-year-old in one particular school who used to hit people in the playground. Not because he was a bad lad, but because he knew no other way of dealing with frustration. Then he learned chess. He very quickly won the ‘most improved player’ award too. Mysteriously, he stopped hitting people after that. I love Cluedo (Clue for American readers). I love card games, including Magic: The Gathering. But they all have one big flaw in common. They all rely on probability. In each one of these games, you can blame bad luck. In chess, you can’t. One of my favourite things about chess is that you are responsible for everything. You reap the benefits of every good decision you make, and there’s nobody else to blame for the bad decisions you make. Yes, chess players say things like “you were lucky to get a draw then,” but luck does not truly exist in chess (unless you count your opponent’s bad decisions as ‘luck’, even though it’s certainly not luck from their perspective). Chess is based entirely on deliberate choices, and that teaches you a lot about how to make the good ones. Yes, good choices change everything. And how does this link to autism, as opposed to children in general? Well, like most of these points, it’s true of both autistic and non-autistic. That said, in my experience in education, it is very easy to take kids with special needs and inadvertently spoon-feed them into adulthood. Sometimes when youngsters came into our special school on their first day, it became clear within minutes that everything at primary school had been done for them… to the extent that some 11-year-olds would even wait for a member of our staff to get their equipment out of their pencil case for them. I’d like to be clear that TAs are absolute lifesavers in the classroom, and (despite what the government says to justify their cuts) they change the lives of youngsters with learning difficulties. But it’s sad when a school doesn’t get the support/independence ratio right. Meanwhile, chess is an area where you make your decisions completely alone, and you take responsibility for your own actions. That knowledge alone wakes up your brain. It makes you approach tasks with a sense of real independence, and encourages you to get your equipment out of your bloody pencil case yourself. 3: Chess makes you confident, and boosts your self-esteem. I first discovered my village’s chess club while I was unemployed, following a teaching course that beheaded my self-esteem, and (despite the wonderful efforts of several placement schools including Ash Lea) completely removed my sense of self-worth. There’s a long story behind that, but let’s just say I was let down by a lot of professionals I trusted. And back then I didn’t even know about my Asperger’s. I just thought I was bad at things and it was my own stupid fault. The club has an annual championship, and in my first year there I came fourth. The next year I won a separate trophy for best league performance. This year, I finally won the club championship for the first time. Of course, I was unemployed throughout a lot of this. And socially inadequate. And single. And getting therapy for anxiety. And finding out I was autistic, which it took me a while to make peace with. But who cares? Winning chess games did a lot to remind me that I wasn’t completely useless. It even taught me that my autism was a superpower in disguise. Yes, you saw this photo in the “Autistic Obsessions” article. 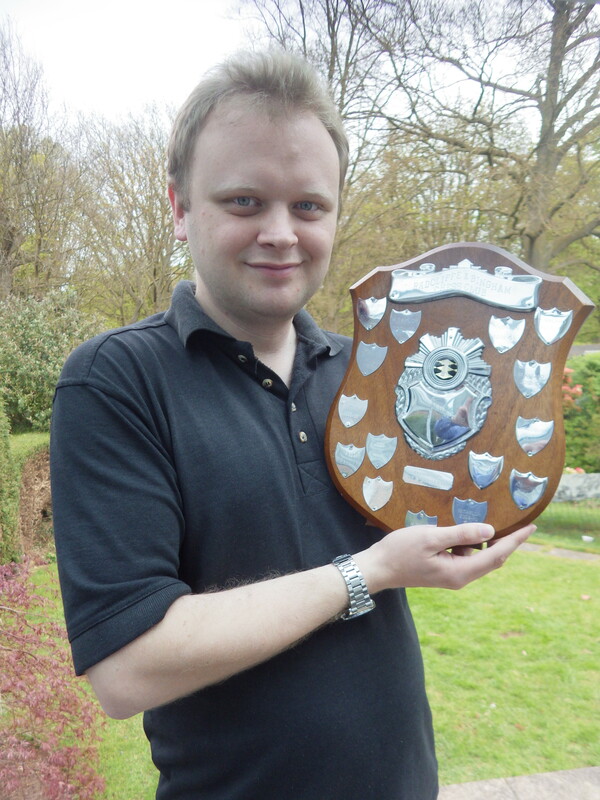 I don’t care- this is me with a trophy after years of thinking my Asperger’s was a disadvantage. And if you do nothing but lose games? Then you learn from them. Another great thing about chess is that even when you lose, you’re still a better player at the end of the game (as long as you have the wisdom to learn from your mistakes). 4: Chess teaches you to earn your rewards. We played against each other every time we met. And he always, always, always beat me. He had no mercy whatsoever. There are some adults who allow their children to win occasionally, to encourage them. My uncle had a much harsher (but more effective) way of encouraging me to learn. Personally, although I never thought so at the time, I am so glad my uncle was ruthless and uncompromising over the chessboard. He forced me to learn. When he taught me to improve my skills, I absolutely listened. Admittedly he doesn’t look like a chess expert here. Then again, I don’t look autistic either. And when, at the age of twelve, I finally beat him, I knew for a fact that I had earned it. Beating him that day felt amazing. As a teacher, I had exactly the same policy. I wanted the kids to be good enough to beat me, but I never let them. They had to earn it. And, because I made them learn, some of them really did beat me. Legitimately, I mean. One of them even beat me on the very last day of Year Six. His final hours of primary school, and he finally beat Mr Bonnello. Knowing for an absolute fact that it was a genuine victory, and knowing for a fact that he deserved the success. 5: Chess teaches you patience. Like I said at the beginning, chess is not an impulsive game. 1. Slow down and think your options through. Many of the biggest successes I’ve had with chess clubs have been with the impulsive kids. They did not take long to spot the correlation between impulsivity and losing. Or between double-checking their moves and winning. They learned, very quickly, that taking a full minute to think about their move yielded better results than taking five seconds. Unsurprisingly, they started applying that philosophy away from the chessboard too. Now this one really does apply to autistic kids. Rule number three: why on Earth did they do that? When it’s not your turn to move, there’s two ways you can spend your time. Predicting the opponent’s intentions, or just waiting for it to be your turn. Guess which thought process leads to winning? Chess teaches you to think about the other person’s motives, their aims and their agendas. Having learned that lesson across the chessboard, it’s now the first thing I think about when talking to another person. It’s helped me a lot with learning how to be diplomatic, and how to avoid being deceived by dishonest people. If your child struggles with other people’s perspectives, or forgets to even consider them, this could be one major reason to teach them chess (or any game that involves decision-making). 7: Chess teaches you how to cope with failure. The following story was one of the genuine highlights of my time in the teaching profession. When I first proposed a chess club in a special school, a couple of people did pull worried faces and give me the “throwing the board against the wall if he loses” warning. Thankfully, by that time I had already taught autistic kids and kids with behaviour problems in my mainstream chess clubs, so I was reasonably sure it wouldn’t happen here either. What did happen totally blew my mind. We had two students that did not work well together. I’ll call them “Matches” and “Powder Keg”. Matches was the kind of lad you love and you root for, even though he makes irresponsible decisions. Like winding people up because it’s funny. Powder Keg had autism and learning difficulties, and exploded very easily. Matches was bright enough to spot this. When the time came for them to play each other, both with a genuine shot at winning the tournament, people were nervous. These lads had been violent to each other before. But I watched as these two troubled teenagers sat facing each other, their noses two feet apart, with literally nothing between them but a chessboard… and they were role models. Yes, role models. I honestly can’t think of a better term for it. The game was an absolute cracker. But in the end Powder Keg lost, and his chances of winning the tournament died. Matches, of all people, had taken away his chance of success. But Powder Keg, despite his autism, understood that it was nothing personal. So I watched, frozen to the spot, as he offered Matches a handshake, and said “good game” with an honest smile. Sometimes, when the stakes are high and you know that one bad move will cost you the game, chess can be nervewracking. Very nervewracking. But you know what? That’s not real anxiety. That’s just tension. Like far too many autistic people, I’ve suffered from anxiety, and I personally know the difference. Anxiety feels like a total loss of control. Anxiety involves fears that don’t even need to connect to reality. Anxiety means losing your map, and not even knowing which way’s north. Chess has a map right in front of your eyes. All you need to do is read it. And if you need to read it ten times, you can read it ten times. You can even check whether your fears are rational by seeing if they make sense on the board. With chess, you know whether you’re worrying for good reasons. Most importantly, I’ve found that one essential part of overcoming anxiety is feeling like things are under your control. It’s very reassuring to know that you do actually get a say in things. In chess, with or without the tension, the game is yours to control. Even if you lose, the game was lost by you. It was not lost by circumstances beyond your control. And even that’s important. 9: Chess helps you make friends. And not just by joining your local club (although I would recommend this, from personal experience). I saw kids in both mainstream and special schools start talking to each other at breaktimes, who never spoke before they bumped into each other in the tournaments. Having a common interest is a good way to start any friendship- and common ground with chess is as good a starting point as any for those in your school. This was a really short point, so Let me expand it with this giant tournament bracket I designed for a primary school chess tournament. There were a lot of opportunities here for new friends to meet. This tournament HAD to have exactly 24 players, HAD to last exactly eight weeks, and HAD to be structured so nobody was eliminated and there was always something to play on for. If you think this one’s complex, you should see the one I designed for 32 competitors. 10: Chess can uncover your inner genius. A few chairs away from Matches and Powder Keg, there sat a fourteen-year-old autistic boy who struggled with everything. I had spent months feeling sorry for this lad- academically he struggled in every subject, socially he struggled in the way many autistic youngsters do, and he didn’t have many hobbies or interests either. When he showed an interest in chess, I treated him the same as anyone else: I taught him how the pieces move and the concept of checkmate (plus the three unwritten rules), and then offered him a place in the tournament. 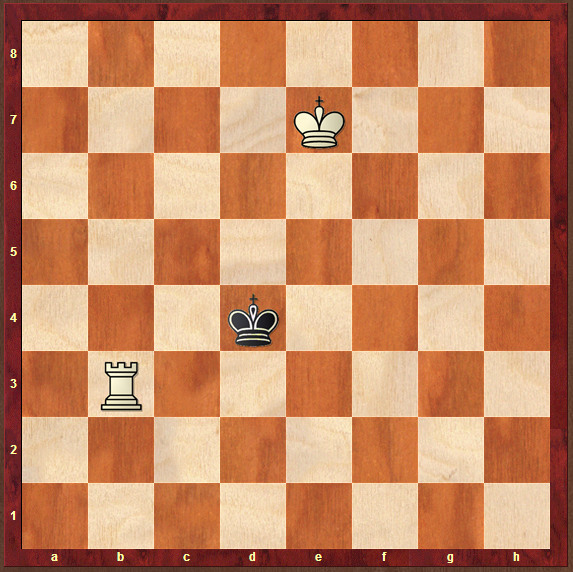 Not many weeks in, I saw him facing another student- in a tournament game, so I couldn’t intervene- and he had just a king and a rook against his opponent’s sole king. It is possible to get checkmate with those pieces, but it’s not intuitive. You have to be taught how to do it. Uncle Douglas had to teach me. I had to teach hundreds of primary school kids. Including the very bright ones, who were off to grammar school a few months later. And unless you’ve been taught how to do it, the game will inevitably end as a draw. That day I watched in absolute amazement, as this boy actually looked at the board and calculated how to do it. Knowing the end position is tricky enough, but the really difficult part is forcing the opponent against the edge of the board when they don’t want to go there. But he did it. He got checkmate, and a big hug from me. After teaching chess to hundreds of youngsters, the first person ever to work out the king-and-rook checkmate was an autistic teenager with learning difficulties. I watched him play the week after, and he had started setting traps for his opponents. Predicting their moves and the decisions they would make. I had seen chess transform young people, but never that quickly. In a parallel universe, he never chose to learn chess, and never got that enormous self-esteem boost. In that universe, we never found out his genius side. then get them a chessboard. Even if they never get good at the game, they may surprise you with how fast they pick up those life skills. PS- when they lose, never, ever tell them “don’t worry, it’s only a game.” It’s worse than swearing! Great article! The reason I never played chess- my Aspie brother was too good at it! This article gave me flashbacks to him as a child. 🙂 But you have convinced me to dust off the board and teach my son! Thanks. 🙂 And all of a sudden, writing this was worth it! 😀 Woo hoo! Thank you for this which I found via Autistic Genius very interesting. The actions and consequences is something I struggle to deal with with my 8 year old “high” ASD (Aspergers under old assessments). This morning he decided to move his bowl of rice crispies and spilled them then tried to mop up the mess with stuffed toys!! These are all very good reasons to learn chess. Still, I hope that the idea doesn’t become one of those things that parents start pressuring their kids to do. Aspie or not, there are many people who have very poor visual memory. I’ve tried to learn chess, but without the ability to remember what the board looked like a few moves back or anticipate what it might look like a few moves forward, it proved to be totally frustrating. That is true, thanks for pointing it out. Brain capabilities aside, you do also need the kind of personality that enjoys it. 🙂 Otherwise it can be counterproductive. What a cogent and well-reasoned article. I’ve been toying with the notion of learning to play chess and now I can’t think of a single reason not to. I don’t have a mental disability, but your logic applies to most everyone. Do you have any suggestions on how I can go about learning to play? Thanks for the comment. 🙂 I think the best ways of learning are either finding a friend who knows how to play and asking them to teach you, or finding a local chess club and playing a few games. Wow!! Just fabulous!! Must get out the old chess board again. It’s been a long time since my aspie has played, but I know that his amazing memory will allow him to jump right in! Thank you so much!!!! Okay already! LOL I’m headed out to get a chess board…oh and someone to teach my autistic son how to play the game. You made very compelling points. My son is eight years old and he’s really beginning to notice differences between himself and others. I don’t want him to feel useless or constantly out of place like he doesn’t fit in. He already knows that he is different because he gets shunned from time to time and that is hard enough. I love your blog because you help me to better understand my son. He’s a talker, but he still can’t properly communicate everything in words that he feels. Reading your blog has even helped me to understand his “obsessions.” My brother just came over last night and told me how crazy it was to him that my son was so focused on the moving trains yet still so in tuned to what was going on around him. He never looks up but he responds to what’s going on. He seems to focus more when I let him indulge a little in studying washing machines and trains. Thank you! Thank you! Thank you! I’m so glad that you take the time to help us better understand our kiddos. What is a good age for a child to start learning to play chess? Pretty early, but of course it depends on the child. I learned when I was 7, a lot of kids I taught learned later, but I know some who learned at age 5. The Polgar sisters (two of the greatest female chess players in history) were pretty much taught from birth! I wouldn’t quite go that far, but when the child starts showing an interest/aptitude for board games in general, it wouldn’t hurt to introduce them to chess while they’re interested. Hi, I really enjoyed reading your site. I am the President of McNairy Chess Club based in Selmer,TN. I would like to be able to work with children who are autistic because I know they can learn and I hate when I read or hear how people talk about children and adults who are autistic. Do you have any advice on how to teach chess to children/ adults who are autistic? I would really love to learn how. In our school there is a chessboard-table (a table with storage for pieces and a chessboard as ‘lid’ for this storage), it can be really fun to play! Last year there were a bunch of people in the final year who played every lunch break, and there were always 5 or so people watching. This year it’s sadly used a lot less, although I’ve played a few games. I think I got another plus for playing chess (at least this way): It pulls people from their phones, and puts them into social situations with some pretty simple rules. The rules are: Don’t make to much noise, don’t disturb the players, don’t give hints until after the move has been made (so don’t say what X should do, wait then say what X could have done). For me, this situation is a lot easier to be in than a ‘just talking’ situation, not in the least because we can all talk about the same thing. Fantastic article, learned a lot. I have taught quite a few child with Asperger and I am pleased to say they all are in universities now. Error: Error validating access token: Session has expired on Saturday, 26-Jan-19 05:38:35 PST. The current time is Tuesday, 23-Apr-19 00:29:47 PDT.